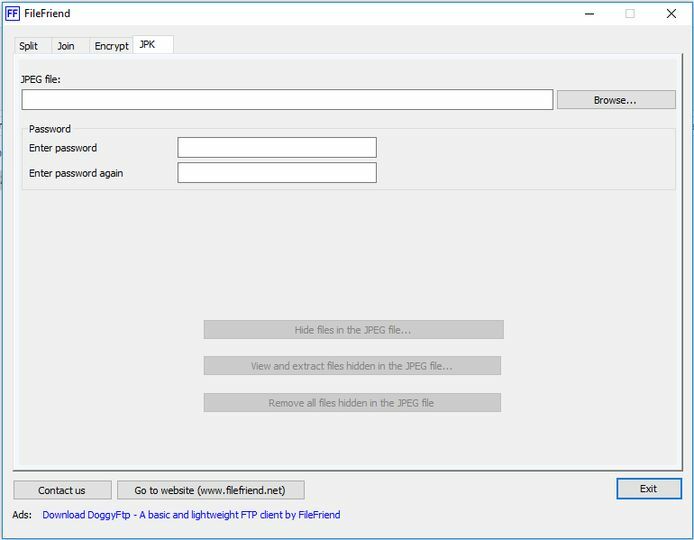 FileFriend can split files, join files, encrypt files and hide files within JPEG images. Each operation has its own tab on the interface so you can quickly and easily split large files into smaller chunks, join smaller chunks to recreate larger files, encrypt or decrypt files and folders, and hide files within JPEG images. You can also extract the hidden files with this app.